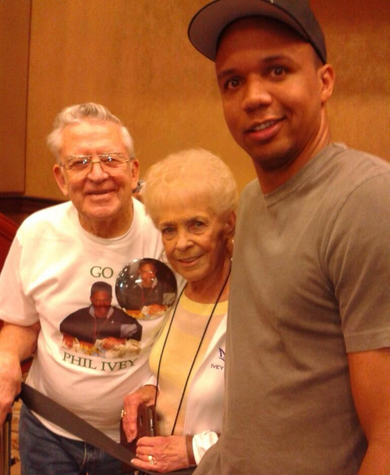 Phil Ivey is the rare poker player who needs no introduction. Most would agree that the number of poker players who’ve transcended the game into the mainstream (i.e., random people know who they are) can be counted on one hand; Phil Ivey is one of them. With titles and WSOP bracelets galore, tens of millions of dollars in recorded live and online poker winnings, countless additional millions won away from the public eye in cash games, and based on the public statements of almost all his contemporaries, it’s pretty much universally agreed that Phil Ivey is the #1 poker player in the world. A lock to make the Poker Hall of Fame, Ivey’s certainly got plenty left in the tank at just 38 years of age. As a matter of fact he’s just coming off his biggest career tournament cash, an AUD 4 million haul for winning the Aussie Millions $250,000 Super High Roller event (he won it in 2012 as well). 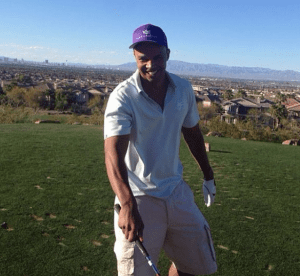 Unlike other poker pros, over the years Phil Ivey has for the most part shied away from the media, preferring to use his time to engage in other pursuits. The dearth of Phil Ivey interviews thus makes each one so precious – a fleeting window into the life of the game’s top player. Legend has it that you used to sleep under the boardwalk in Atlantic City. You also used to have a job in telemarketing before poker took over. Could you tell us a bit more about those early days, before you amassed your bankroll and became a famous poker player? Do you still have any friends from those days? 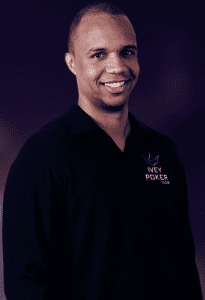 Phil Ivey: Joe Cassidy, Pat and Mel Humphries, Mitch, and even Stormi who plays in the Ivey Poker app today are all good friends from back when I started playing. Memories? Well, back then I was really grinding, protecting my bankroll, and trying to play a game that wasn’t swingy and subject to fluctuations. Those other stories – some of them have gotten a little exaggerated over the years. I must admit, I spent a few nights sleeping under the boardwalk but it was usually more about missing the last bus than being busto. What do you think you’d be doing for a living if you didn’t play poker? Phil Ivey: I never thought about poker not working out. When I started playing poker I just thought this is what I’m going to do for the rest of my life. You have to think that way, and if it doesn’t work out, of course you move on from there. But if you start out thinking any other way, you’re setting yourself up to fail. What are the most and least fun parts of poker to you? 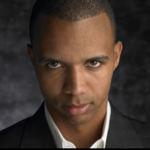 Phil Ivey: The least fun is the downswings and when you’re losing. Poker is a job you can put your heart and soul into, work the extra hours, feel like you’re doing everything right, and still you lose money. But the good part is when you ride out the downswings, get on the good side, and then all your hard work pays off. Poker is a long-term game and you have to keep that vision or you’ll lose heart. In the long run, the better players who put the time in and work on their games will come out ahead. Poker is very different now from how it was 5, 10, and 15 years ago – the time during which you’ve built your career. Let’s pretend for a minute that you’ve only just now became of legal age to gamble and are just starting out essentially from scratch. What sort of strategy would you have for building up a bankroll and starting to move up the ranks, specifically with competition so much tougher and all players just so much more knowledgeable? Phil Ivey: I’d start out by joining training sites, like Ivey League. There’s free content there for people who are starting out, fundamental strategy for folks building their game, all the way up to very high-level content for professional players. I’d work on my game online and at casinos, build my bankroll, find good games, and try to put myself in a position to keep winning and earn a steady income. A lot of people these days are too ambitious; their sights are set too high at the start and they end up diving in too deep, quitting their day job too soon. They move to Vegas or wherever, make an all-or-nothing commitment before they’re ready, and burn out. Up until now in your poker career you’ve certainly never been one to discuss or write about poker strategy in public. Why the change of heart and the move to the opposite side of the spectrum to create the Ivey League training site? 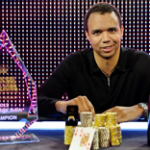 Phil Ivey: I see Ivey League as part of my legacy. I want to teach the world to win at poker. I want to build a training site that can help people who have never touched a deck of cards as well as support the very specific needs of top-tier players who are building a world-class game. How does it differ? Every training site says they have the best teachers. In our case, we’ve pulled together a team of truly the best players in the world of poker today; and also the absolute best poker teachers. 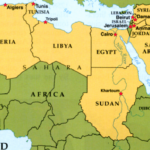 We intend to help them teach with not just videos, but a range of innovative technologies. You were absent from the poker world for almost a year in the wake of old Full Tilt Poker’s demise. What were you up to during that time? You didn’t make any public appearances or play in tournaments, but were you still active in cash games anywhere so as not to “get rusty”? Phil Ivey: I actually spent most of that time working with my team to define and prototype parts of Ivey Poker and Ivey League. From my point of view, it was a very busy time; starting to build my business and my team. And yes, I kept playing – pretty much around the world in cash games, though tournaments were off the table for a while. Was it at the start of that “time off” that the idea of the Ivey Poker and the Ivey League came to you? 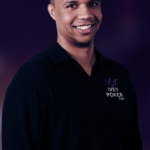 Phil Ivey: The ideas for Ivey Poker and Ivey League came out of conversations I was having with friends and business associates for several years before Black Friday. By the time Black Friday created the space to let real work begin, we were pretty sure what we wanted to do. What do you think are the biggest similarities and differences between live and online poker? Phil Ivey: The biggest thing when you’re playing live is that you’re sitting across from the player and can get a detailed impression of how they’re acting, and whether they’re expressing strength or weakness. Online, it’s much more about betting patterns and you’re using a much narrower range of cues to what they’re holding and thinking. And, of course, online lets you do things like multi-table that you would never be able to do in the real world. Similarities? It’s always a game of information, and if you know who your opponent is that personality is a constant, making their live and online play not identical, but similar. Also, people reveal more information than they think when they’re online … it’s just in different channels. It’s all poker. One big difference between live and online poker up until recently was that you could only really take notes online whereas in live poker you sort of have to remember what you observe or use pen and paper. Now there are apps which allow someone to take and save their notes on their Smartphone or tablet while playing live poker. In general, would you recommend that recreational and even professional players take notes while playing? Phil Ivey: Well, I’m not personally a note-taking type of player. Certainly, poker is a game of information and the more information you have the better off you are. If you can work out a way of taking notes that enhances your knowledge and doesn’t give away too much information in the process, and that doesn’t create negative feelings that you can’t exploit, then by all means. What makes the Ivey League unique from all other existing poker training materials out there? Phil Ivey: Ivey League is unique for lots of reasons. First, our pros are some of the best in the world, and they’re sharing their expertise on Ivey League and nowhere else. You get me, Patrik Antonius, Dan Smith, Mike Leah, Griffin Benger, and more. We have awesome poker video producers and teachers like Mizra Muhovic. Some are rising stars, and you get to share their experiences from that perspective too. Once you watch a video, you can then go practice what you learn for free on the Ivey Poker app. Our pros play there too, and it’s a great opportunity for you to talk to them about what you’ve learned as well as any problems you might be having adapting to the strategy. Our forums are great. The Ivey League coaches use the forums to further discuss strategy and answer questions they get from videos they’ve produced for the site. I notice that you did a lot of filming for your recent Ivey League videos in your Cabo San Lucas villa. Why not a conventional studio? Phil Ivey: We wanted to give people a little look at how I live, what the scene in Cabo is like. In practical terms, my house in Cabo is a retreat that’s set up really well to promote my health and mental focus. It’s big enough so that there’s room for other Ivey Pros, guests, and team members to visit and be comfortable. Plus, it’s staffed so that we can take care of people there and work efficiently. So it’s actually an ideal place to film training videos. You’ve obviously got legions of fans out there, but none are more well-known than Mel and Pat Humphries. Can you tell our readers a little more about them? How did you first meet them? Do you ever get together with them? Why does your relationship with them run so deep? Phil Ivey: I met them when I first started going to Atlantic City – when I was about 18, 19 years old. I would go to lunch with them and we’d talk about life. When I moved out West, they started coming out for tournaments and it’s become a regular thing. Without naming names, could you tell us a little bit about the cash games in Macau? What are the stakes? How long does a typical session last? Phil Ivey: As everyone knows, the games are super-big in Macau. Sessions go from eight hours to 50 hours, depending on how the game’s going. Do you have any poker regrets thus far in your career; i.e., is there anything you would’ve done differently if given the chance? Phil Ivey: There’s always hands I would have liked to play better. There are some tournaments where I made some mistakes down at the end that I wish I hadn’t made. But overall, poker has been pretty good to me, so it’s tough to have many regrets. You’re pretty much universally acknowledged to be the #1 player in the game. With untold millions in the bank and pretty much having reached the pinnacle of poker, what sort of goals do you still set for yourself? In other words, what motivates you (and why)? Phil Ivey: I’m working on my legacy, now. Poker has been very good to me, it’s been through some ups and downs, and I want to help build the industry and help the world understand why I say that poker is the greatest of all games. Ivey League is part of that. I said I wanted to teach the world to win at poker. And I want to build a training site that can help people who have never touched a deck of cards, and also support the very specific needs of top-tier players who are building a world-class game. So that’s where a lot of my focus is, right now. 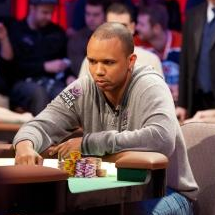 By all appearances, Phil Ivey seems to be “all poker all the time”, other than the occasional round of golf. What other activities do you engage in and how do you spend your time away from the tables? Phil Ivey: In fact, our Ivey Life videos, which you’ll be seeing more of on the site, show a lot of this “away from the table” stuff: my friends, my interests, travel. It’s a lot of fun. Downtime with the biggest names in poker, basically. Will we ever get to read the Phil Ivey autobiography? Phil Ivey: I wouldn’t count it out, but right now I feel like my career is still just starting. The best years are yet to come. Thank you again Phil for this very special opportunity and interview. It’s been an honor and a pleasure, sir. Be sure to check out this special follow-up poker blog post, detailing the behind-the-scenes process of my obtaining, preparing for, and experiencing an interview with Phil Ivey. Robbie, Wow!!! How impressive you got it interview with the elusive Phil Ivey. Your questions were great and P.hil’s answers were interesting reading. Ironically, the player “Stormi” on his site Ivey Poker is my wife. What a small world 🙂 Thanks for the kind words Kenny! Maybe he will take a shot at chess in same way that M.J. took a shot at baseball. Big Blue better work on his game.